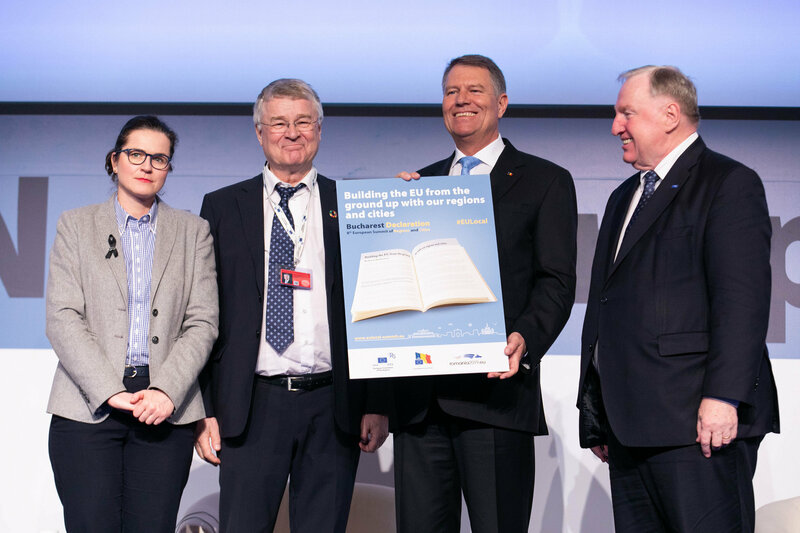 The 8th European Summit of Regions and Cities, held in Bucharest on 14 and 15 March, brought together local, regional, national and EU decision-makers from across Europe to discuss the future of the European Union. As delegation from Salzburg, Brigitta Pallauf and Franz Schausberger represented the interests of the region there. More than 500 regional and local politicians took the opportunity to discuss the Committee of Regions (CoR) statement on the future of the EU, which has to include regions and cities more. The declaration is intended to essentially renew Europe and it stresses the fundamental importance of regions and cities in the European Union. This is intended to contribute to the CoR’s Strategic Agenda 2019-2024 on the “Future of Europe”. On 9 May 2019, the Declaration will be presented to the leaders of the EU institutions and Heads of State and Government on occasion of their informal Council in Sibiu, Romania. Franz Schausberger noted that the main problem in implementing the principle of subsidiary is the diversity of regions and municipalities. This would be even intensified by an extension of the EU to the Western Balkan regions, as they are strongly centralistic in their organization. There had been no improvement in the position of the regions and municipalities under the Treaty of Lisbon, which rests with both the Member States and the EU itself. The trend towards autocratic governments in the EU is linked to centralization. This applies also and especially to Romania. The Declaration calls on the EU to strengthen its regions and cities and engage citizens more. With modern challenges such as climate change or globalization, the EU must quickly agree on ambitious plans for the future. Ultimately, this can only be achieved with greater decentralization.